A few months ago, we took a look at the Rane Sixty-One mixer which was a good follow-up to the TTM series mixers but still lacked some of the on-board MIDI controls and features that DJ’s need to control their Digital performance. So we’ve stepped it up to the next level with this review of the new Rane Sixty-Two-Z mixer review that promises to deliver on the same quality front, but also providing users with even more digital and analog flexibility than ever before. Anyone who’s anyone in the DJ world knows all about the Rane Brand and their standards of high-quality when it comes to putting their name on a product. 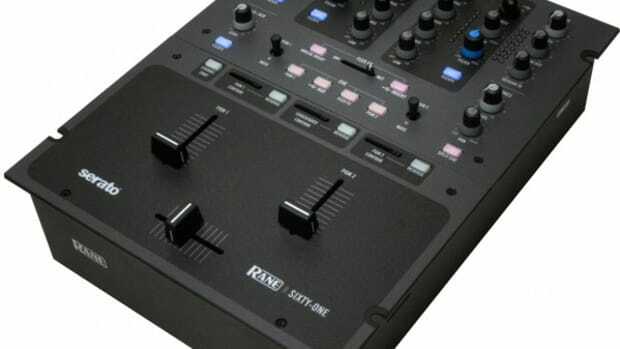 Rane has been producing some of the World’s best DJ mixers for the past 20+ years and it seems that they plan to continue this strategy when introducing the new line of “Sixty” mixers. 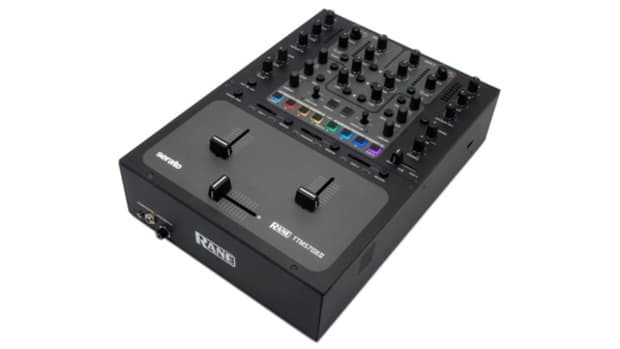 Prior to this new line of mixers, there was the well-known Rane TTM line that exhibited some of the best magnetic faders ever, sturdy build quality, and tight-crisp sound for all DJ’s to enjoy. 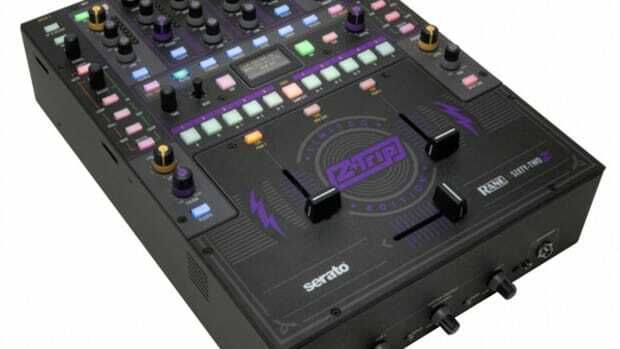 Before we get into the Rane Sixty-Two-Z mixer review, we’ll explain the two different models that are currently available on the market for DJ’s to purchase. The Rane Sixty-Two mixer is essentially the same as the Rane Sixty-Two-Z, but the Sixty-Two-Z mixer is the DJ Z-Trip Edition which sports some fancy artwork on the faceplate, a premium pair of RCA cables, and a nice hard-case to store them in. 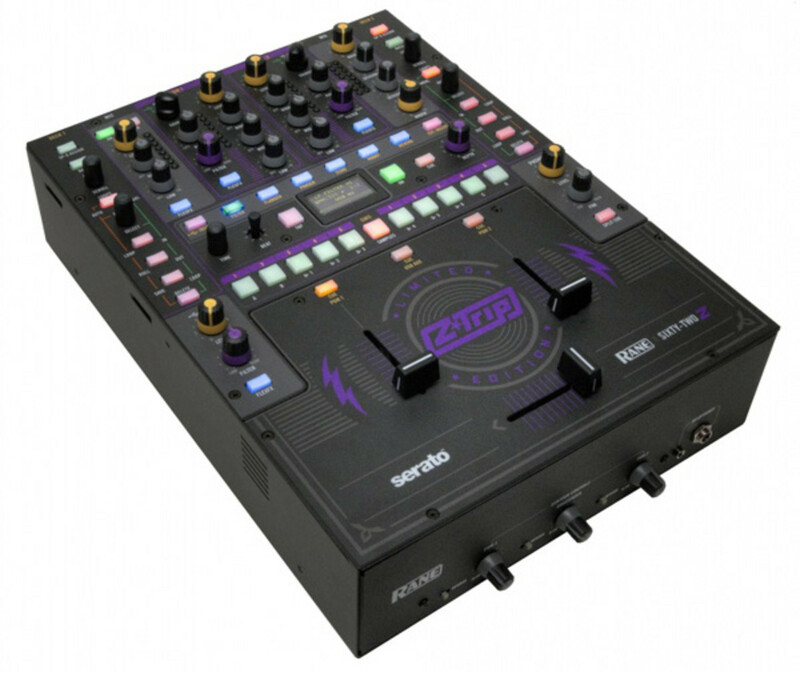 The Rane Sixty-Two-Z is a premium-grade Serato Scratch Live (SSL) two-channel DJ mixer that comes with everything a DJ needs to convert their Vinyl or CD decks into virtual timecode decks that can be used to manipulate the digital files located on a computer. The Rane Sixty-Two exhibits MOST of the classic and well-known Rane Mixer build quality with a (very thick) full-metal chassis and those sturdy magnetic faders that seem to last forever. The only small issue with the build quality that I must mention is that all of the knobs for EQ’s and other controls are NOT metal reinforced. Meaning the actual post that the plastic short-bodied knobs fit on is actually plastic. Most other $1000+ Mixers on the market usually have metal-post knobs for reinforcement for DJ’s who may hit or bang their mixer while on the move, so I’m somewhat surprised that Rane left this off of the Sixty-Two. This is especially concerning with the crossfader control knobs on the front of the mixer that don’t have any protecting bars or reinforcements protecting them through transport. Overall though, the knobs do have a lower profile than most other mixers or controllers, but I like the way they feel to the touch and they feel good on the fingertips when making adjustments. The buttons are all plastic with a backlight so that the DJ knows exactly what feature is on or off. The sound quality of the Rane Sixty-Two (just as with the Sixty-One) is SUPERB! Rane has always been one of the best sounding Mixers that you can get on the market and the Sixty-Two is no exception. No matter what source you use with this mixer, the sound always comes out just as it was intended to by its creator. Everything is just so crisp and clear and the bands of EQ don’t overpower or cancel each other out. The sound quality remained consistent and true throughout our entire testing period. 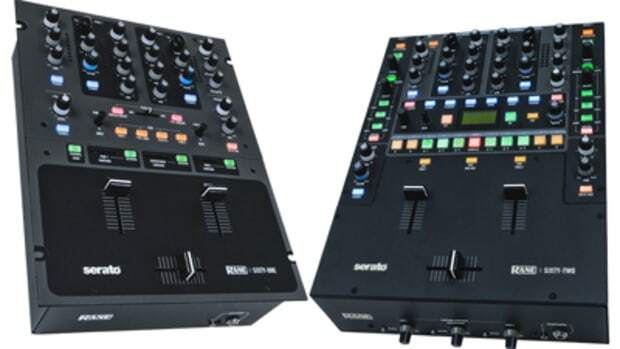 The Rane Sixty-Two mixer has an internal Serato Scratch Live high quality (SL4) DJ soundcard that allows users to simply plug in their CD or Vinyl decks using the RCA ports on the back of the mixer for complete timecode control of the audio files on a computer. The Rane Sixty-Two comes bundled with the full edition Serato Scratch Live 2.4.4 DJ software. DJ’s who purchase the Rane Sixty-Two mixer will use the combination of the SSL software and built-in DJ soundcard to connect two external CD or vinyl decks with "Noise Map" control CD’s/Vinyl to the Sixty-Two mixer for a complete DVS solution. Users can then use their CD style decks or analog Vinyl turntables to manipulate and play the music files that are on their computer. The setup process was very easy as all I had to do was run the software setup disc in my computer, connect the mixer to the computer with the supplied USB cable, and connect the two vinyl turntables with the supplied "Noise Map" vinyl to the RCA inputs on the back of the Sixty-Two. 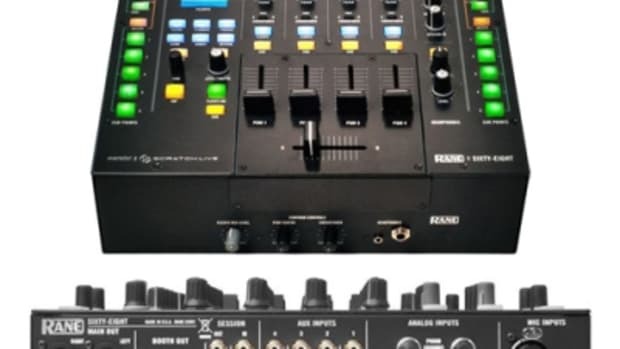 On the front of the mixer, there is a ¼-inch and a Mini headphone connection for DJ’s to choose from while on the rear of the mixer there is a ¼-inch/XLR Combination input for the Microphone connection. There is also a set of RCA IN and RCA Out Session style connections to connect additional devices or other mixers. There is a set of MAIN XLR outputs, a set of Booth ¼-inch outputs and a set of FlexFX LOOP Send and Return ports for external effects modules. 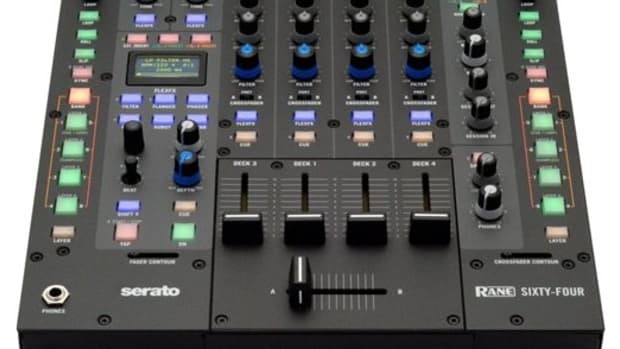 One of the really cool features of the Rane Sixty-Two mixer is that the internal Serato Soundcard has two different USB connectors along the back. This can be used to connect to two different DJ’s laptop’s to make for easy transitions from one DJ to the other. The user simply has to set the input toggle switch to USB1 or USB2 in order to give the corresponding computer control over that particular channel which makes switching a breeze. The Rane Sixty-Two has a total of four Line or Phono level RCA inputs that can all be used as either a straight-through setup (with no software) or as a virtual deck (with software) depending on the placement of the selector switch at the top of each Channel on the mixer. Since this is a two-channel mixer, the DJ can only mix two Digital Vinyl Decks at a time, but since there are two extra inputs, DJ’s are able to mix between Virtual Decks and Live Decks on the fly by using the selector knob to switch to the deck the user wants to mix next. Just as we all expected, the Digital Vinyl System performed flawlessly throughout our testing and usage. The Latency while using "Noise-Map" Vinyl or CD’s is basically non-existent which made scratching/juggling a synch. Also on the rear of the Sixty-Two there is a set of quarter-inch Send and Return connections for external effects modules. There’s also a Session input RCA set (with its own volume control knob) for any additional line-level input devices or for connecting another mixer for transitions and shows. The Session Output RCA functions as a Booth output and has its own volume control knob as well. The main component of any two-channel scratch mixer will undoubtedly be the faders. The Rane Sixty-Two shines brightly in this area as both the crossfader and the linefaders are all magnetic and have a loose but sturdy feel to them. DJ’s the world over have been swearing by the Rane Magnetic faders for years and years now and it seems they’ve done it again with the faders of the Sixty-Two. Personally, the Rane Magnetic Faders are almost perfect to scratch on with the perfect amount of resistance to them. While scratching it up on the Serato Sixty-Two, the default cut-in distance and tension of all the faders allowed for easy crab and fast fader intense scratches while still allowing the DJ to be sure of fader placement. On the front panel of the mixer, all three faders have a tiny Reverse switch to reverse the poles of the fader, and individual fader curve knobs that adjust the faders from hard-cut to slow mix. Moving up from the faders and controls; the top-half of the mixer has all of the buttons and knobs to control Serato Software MIDI functions, on-board effects, headphone cueing and other EQ/Volume controls. The Cue Section is a set of buttons that allows the user to hear the selected item in the headphones before it is played through the Master output. The user can pre-listen to either channel, the Master output, the Aux input, or the Effects. To the right, there is a Split Cue button that allows the DJ to split the headphones where one side plays the master output and the other side plays the items you have in Cue mode. There is also a Cue volume knob for headphone volume adjustment and another knob that allows the DJ to fade between the Master output and the Cue selections. All the way to the left is an Aux Input Volume control knob that controls the SP-6 Serato Sampler volume playback level. Below this volume knob is a separate Low/High Pass filter knob to change the sound of the SP-6 Sample that is being played. Each channel on the Rane Sixty-Two Mixer has a nice set of full-kill 3-Band EQ’s, A Low/High Pass Filter knob, a PAN Left to Right knob, and a Source Selector switch that allows the user to assign any of the four RCA inputs to either channel on the fly. Right next to the Set of EQ’s lies the LED meters that show the level of each individual channel. There is also a set of Left and Right Master LED meters near the volume control knobs to let users know what levels they are working with. To the left, there is a Microphone level knob and a 2-band EQ with knobs for High and Low to get the vocals to sound just right. Above the Microphone volume knob is an “On” button to activate the Microphone and an “Over” button that lowers the volume of everything else on the mixer as the person uses the microphone. All the way to the top-right of the Sixty-One is the Main Volume knob, Session Out knob, and Session IN knobs to control all other input and output volume levels. One of my issues with the Rane Sixty-One mixer was that there were no on-board controls for effects or Serato SSL MIDI functions. The Rane Sixty-Two adds lots of the MIDI functions that Digital DJ’s need such as Hotcues, Sample controls, advanced loop controls, file navigation, and a very powerful on-board effects section. Cues/Samples – Right in the middle of the mixer there is a row of hard-plastic buttons that work as hotcue and sample buttons. The user is allowed access to five hotcues per deck and all 24 sample banks at one time. Using these controls, the DJ can set hot cues and delete hot cues on the fly. When the Cue/Sample button is engaged, then the same buttons can then be used to control the sample banks and playback. There’s also two “SP-6 Assign” buttons in the top corners of the mixer to store samples into a given sample bank. Effects - This brings us to the very robust effects section of the Rane Sixty-Two. The Rane Sixty-Two has on-board hardware effects which include Filter, Flanger, Phaser, Echo, Robot, and Reverb. These are all post-fader effects meaning that when the sound is turned off, the tail end of the effect can still be heard. There is a knob to the left that controls the Time of the effect and a knob all the way to the right that controls the effect Depth. In the middle of the effects section, there is a screen which will display the current effect being used and the parameters of the effect. There is a big ON button to completely engage/disengage the effects, and a large TAP button to get the BPM perfectly aligned for good beat effects. There’s also a 360-degree joystick style control that changes the Beat intensity of the effects as well. Users can also insert software effects from SSL or external effect module insert by using the corresponding buttons in the effect section. Each channel, the microphone, master, and the SP6 Sampler all have their own FlexFX button to individually activate an effect on any given input at any time throughout a performance. Loop controls – The Rane Sixty-Two along with SSL has some of the best and most advanced looping controls available for DJ’s right on the face of the mixer. Each channel has its own identical loop section which is located all the way to the left for channel one and to the right for channel two. The loop controls include buttons for auto-loops per beat, manual in/out buttons for setting your own individual loop points, and Roll and Sample save or delete controls. There’s even a knob in each loop section to set the bar-length for the loops. Users can even set loops later on in a track and have the song repeat that loop when the play-head eventually gets to that section in the song. File Navigation – Above both loop sections there is a scroll knob and a back button that can be used to select and load tracks into the decks and to skip between the different crates and files located on the computer screen in SSL. The Serato Scratch Live 2.4.4 Software is included with the mixer along with two "Noise-Map" CD’s, two timecode vinyl and a USB cable (The Sixty-Two-Z also comes with high-quality RCA cables and a protective carry case). When everything is connected as specified and the "Noise-Map" vinyl or CD’s are in place on the decks; the DJ can now manipulate the digital files with the deck of choice. Serato Scratch Live can playback many different files including MP3, MP4, AIFF, AAC, ALAC, WAV, OGG Vorbis, CD Audio and direct from the mixer. You can also record your mix using the Sixty-Two by pressing the record button in SSL and selecting which audio to record (Channel one, channel two, or master). iTunes integration is excellent with the tags and playlists all working in perfect harmony. The waveform of tracks can also be positioned in many different ways including vertical, horizontal side-by-side, horizontal separated, and more. The software is very powerful on its own and you can also purchase the Serato Video plugin for cool Video mixing all while controlling everything with the "Noise-Map" vinyl or CD’s. There were only two minor issues that I could find with the Rane Sixty-Two-Z mixer. My first issue was the lack of metal posts for all control knobs including the fader adjustment knobs in the front. It just seems like when you are paying more than $1,700 for a mixer that it should have metal post knobs instead of the plastic posts found on the new Rane Sixty-series mixers. The last generation of Rane TTM mixers all had metal posts, so it’s worth pointing out this new change in manufacturing, and be sure to protect this investment if it must be moved from location to location. My last gripe with the Sixty-Two-Z is the steep price. Rane makes some very high quality gear and the price will reflect this fact. At the time of writing this review, the Rane Sixty-Two is essentially the ONLY two-channel mixer with a built-in SSL interface and advanced MIDI controls and on-board that you can buy. It’s still hard to justify the cost when comparing this to competitor offerings. In Conclusion, the Rane Sixty-Two-Z two-channel Serato Scratch Live Professional DJ Mixer is a perfect setup for any DJ looking to get a very high-quality and battle-ready DJ mixer with a built in SSL soundcard that allows you to attach vinyl/cd decks for timecode control. The Sixty-Two-Z also has a wide range of MIDI and on-board Effects functions right there at the DJ’s fingertips. The Chassis is solid and the Magnetic faders are legendary amongst turntablists. There’s also a bunch of inputs, outputs, and effects options to play nicely with almost any setup. The price is very steep but it’s still a one-of-a-kind package with everything you need to get started in the Serato DVS realm. I’m going to recommend the Rane Sixty-Two-Z to any DJ who wants a high quality and advanced SSL certified mixer with MIDI controls and a powerful internal effects processesor in a nice bundled package.